When it comes to international events, Gothenburg has attained world standards. Equally the city has become an attractive meeting place for international congresses, conferences, exhibitions and trade shows. This success is largely thanks to the development of genuine collaboration between private companies, the public sector and politicians in Gothenburg. Gothenburg, Sweden’s second city, has always been open to the world. Founded in 1621 using Dutch knowledge, Italian ideals and German, English and Scottish pioneers – the international interaction has continued in a positive way. Visitors to Gothenburg are met by warm and friendly people with a relaxed attitude. Be it private or business the citizens are open and genuinely interested. Gothenburg is growing and sustainable growth is key. Large scale construction projects for new housing, new meeting places and intelligent and sustainable transport systems are currently underway or being planned. There are strong innovations and entrepreneurial environments and exciting developments are being made. Innovation is a lifestyle and cooperation natural. World class seafood and thriving agriculture are a few of the reasons why gastronomic enthusiasts love Gothenburg. It has everything from international renowned restaurants and trendy bistros to classic local eateries and street food. Gothenburg has seven local restaurants have been presented with one star each in the gourmet bible Guide Michelin. For more information see Resuaturants in Gothenburg. Gothenburg has a compact city centre. Almost everything is within walking distance or easy to reach by tram, boat, or other means of public transportation. There is no need for a car in Gothenburg. When using car in the city you should plan to park your car. Biking in Gothenburg is an excellent way to move in the city. Virtually all places are accessible by bicycles. You can easily rent a bike - there are more than 50 places in the city where you ca take or leave a bicycle - and even use it free of charge for first 30 minutes. The sea, the tang of the salt and the waves are never far away. 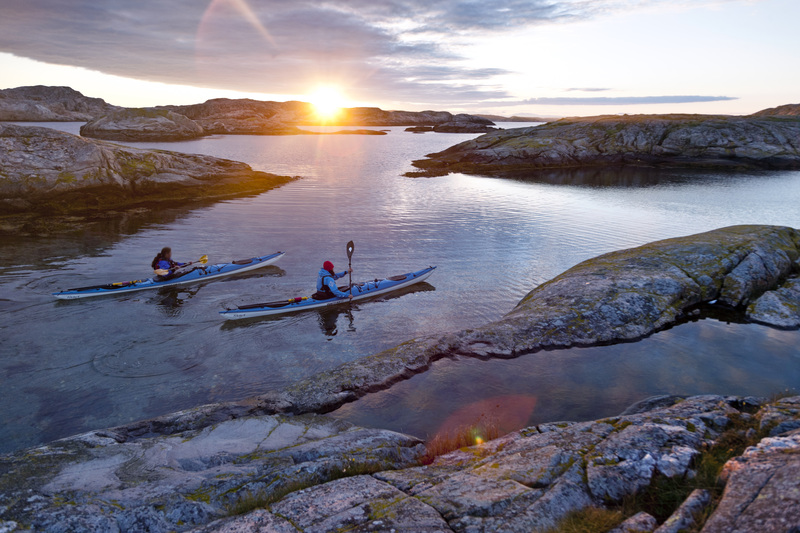 The archipelago stretches along the coast like an endless chain of islands, bare reefs and skerries. The islands are close enough for day trips, yet far enough to be a contrast to the beat of the city, whatever the season. You can reach the Archipelago from Gothenburg by a tram, or other means. For more information see The Gothenburg Archipelago. Global companies, a few examples: AB Volvo, Astra Zeneca, Nobel Biocare, SKF, Stena AB, Mölnlycke Health Care, RUAG Space AB, Hasselblad.